G-Eazy Plays a Game of "G-Eazy or G-Difficult"
G-Eazy isn't so eazygoing after all! 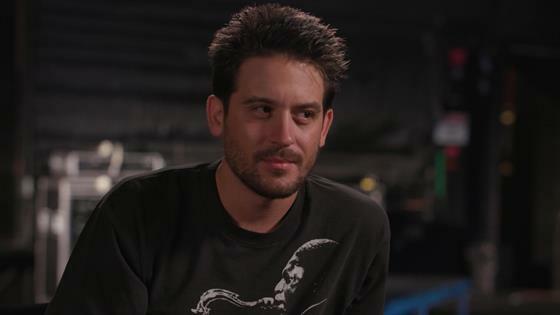 The Rundown's Erin Limtests his hot-headedness in a game of "G-Eazy or G-Difficult," prompting the rapper to reveal his initial reaction to some admittedly annoying scenarios. So would a bad haircut turn G-Eazy into G-Difficult? From his perspective, "Very, because you can't grow it back." The same goes for accidentally spilling a drink on the "No Limit" performer, because who has time to clean up a stain when you're dominating the hip-hop charts? But the "worst" mistake G-Eazy said someone could make is messing up his food delivery order. "You already waited that long to get it," he explained, adding, "Especially when you're really hungry and then it comes [incorrect] and you don't have another 45 minutes to wait. I get really hangry." Not everything ruffles the rapper's feathers though, which he breaks down in the video above! Press play, and don't forget to catch G-Eazy as he hits the road alongside Lil Uzi Vert for the Endless Summer Tour. And for even more from G-Eazy, head on over to Snapchat to catch the latest episode of The Rundown.